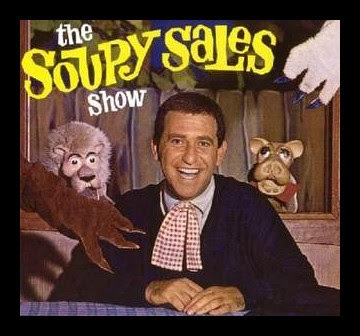 I can't actually say to what degree a television comedian like Soupy Sales had on me as I grew up, but it's enough to say that he was a large part of my viewing life while otherwise growing up in Detroit in the early sixties. His wackiness has remained a family reference point for years. When my father passed away in 1995, the five of us kids--Julia, Owen, Hollis, Reed and myself --went to the LaJolla Comedy a month later where Sales was scheduled to perform. Well, perform he did, delivering what seemed to be an endless stream of jokes, drink in hand, his face still rubbery and begging for a fabled pie in the face. The jokes were blue, the memories were grand, and it seemed an appropriate way to remember our lives with our father and our eventual destination, California. Some have mentioned his influence on Saturday Night Live and Pee Wee Herman. You can read some more on Sales here and here.